Beginning in 1976, the Concorde – the world’s first supersonic passenger jet – ferried travelers across the Atlantic in just over three hours. 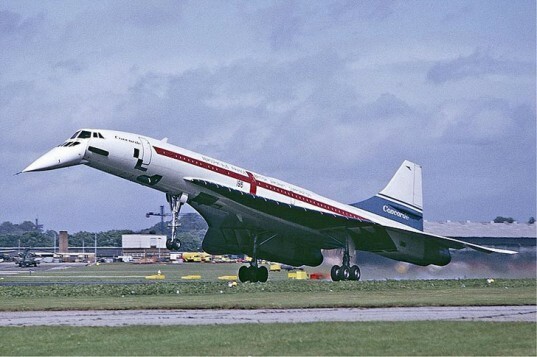 But there were several challenges associated with the Concorde: The sonic boom it created was a drag, and because only 20 of them were ever produced, they were financial losers. Now, an engineer at MIT has come up with a design concept for a supersonic biplane that would solve all of the problems that plagued the Concorde while boosting fuel efficiency. Qiqi Wang, an assistant professor of aeronautics and astronautics at MIT, along with colleagues from MIT and Stanford, has shown through computer modeling that a biplane (an airplane with two sets of fixed wings instead of just one) produces less drag, and as a result could be much more fuel efficient and less noisy than the Concorde. Using computer modeling, Wang and his team tested out 700 different wing configurations and found that by bumping out the upper wing, and lowering part of the lower wing, the plane could fly at supersonic speeds with half the drag of the Concorde. Why is the sonic boom such a big deal? “The sonic boom is really the shock waves created by the supersonic airplanes, propagated to the ground,” Wang told the MIT news office. “It’s like hearing gunfire. It’s so annoying that supersonic jets were not allowed to fly over land.” According to Wang’s calculations, the new biplane design would cancel out shock waves produced by each single wing. The challenge now will be getting it to fly. The team is now planning to produce a three-dimensional model to investigate other factors affecting flight. Beginning in 1976, the Concorde - the world's first supersonic passenger jet - ferried travelers across the Atlantic in just over three hours. But there were several challenges associated with the Concorde: The sonic boom it created was a drag, and because only 20 of them were ever produced, they were financial losers. Now, an engineer at MIT has come up with a design concept for a supersonic biplane that would solve all of the problems that plagued the Concorde while boosting fuel efficiency.